Evernote has been the dominant app for meeting and note-taking. 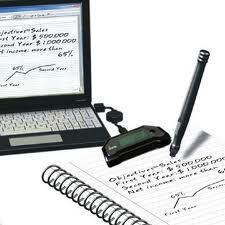 It has a streamlined interface and interacts with other programs such as Microsoft Outlook. There are competitors to Evernote recognizing that everyone needs a place to track meeting notes, tasks, ideas, recommendations and other pieces of information. Below are some other recommended applications for note-taking. Google Keep is a simple platform to take notes. Google Keep integrates with a user’s Google platform and notes can sync with Google Drive. Users can make unlimited lists, add photos and graphics to notes and also color code notes. Although the functionality for Google Keep is fairly basic, knowing Google it probably will get enhancements in the coming year. Microsoft OneNote is part of the Microsoft Office suite and an alternative to Evernote. OneNote was specifically designed as a meeting note application and does a great job of organizing meeting notes by type and date of meeting. The integration with Outlook is also a key feature as it allows users to import emails and tasks between the applications. OneNote has an app and notes can sync to mobile devices. However, attached files such as Word, Excel or email documents may not open depending on your platform. The free version of OneNote is limited to 500 notes, with unlimited use available for $4.99 via an in-app purchase. SpringPad is a free app that allows users to save ideas, notes, project tasks, photos, products, checklists and recommendations. SpringPad has a very nice visual interface that provides photos and images to note topics. It works with multiple device platforms. PDF Expert. A PDF annotation app that works only with iPads allows the user to fill in forms, sign documents and write notes, highlight and bookmark on PDF documents. iAnnotate. A PDF annotation tool that works with iPad, Android and Enterprise tablets; it also allows the user to add notes, bookmarks and underline. It also has the ability to have multiple PDF documents open at one time. It will also let you customize the toolbar. Noteability. Notability integrates handwriting, PDF annotation, typing, recording, and organizing so you can take notes electronically on the tablet. Mind Jet. Mindjet for iPad® lets you easily enter ideas, tasks, and meeting notes into intuitive visual maps that help you quickly organize concepts and prioritize action items. Note Taker HD. Note Taker HD is only for the apple ipad. Notes can be taken via typewritten or handwritten via stylus. It has the ability to add in shapes, graphics and charts. It also has the ability to email notes. Evernote. This is a more robust app that not only takes meeting notes but is like a personal Google organizer for users information. Penultimate. A leading handwriting app for iPad, purchased by Evernote in 2012. 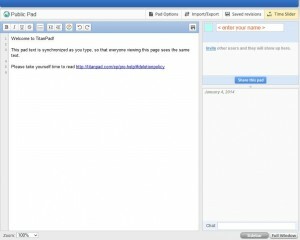 It can email images and files in PDF format and works with Evernote and Dropox. NotePad Pro. This app has the ability to record audio while typing or drawing. 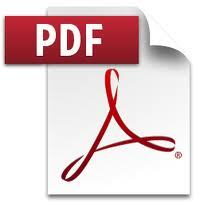 It will save notes as PDF that can be emailed with audio files. Tired of all those scattered meeting notes and tablets? Another upcoming product on the market is the digital pen, which records electronically the movement of the pen on paper. 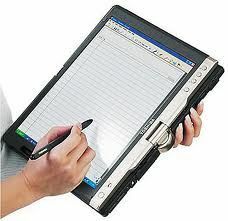 It then can be connected to a computer and transferred into software that will display the notes or convert it to text. This keeps an electronic running archive of all meeting notes, and you can discard the paper tablets.